Skateboarding historians can agree that Jed Walters was certainly on track to turn pro alongside Daewon Song, Shiloh Greathouse, and Chico Brenes after the release of World Industries’ Love Child in 1992. The primary reason that didn’t happen is because he completely disappeared from skateboarding soon after the video came out. Sean Cliver witnessed all of this firsthand from World’s art department. 26 years later, he has reunited with Marc McKee to ponder what a Jed Walters pro model would have looked like. 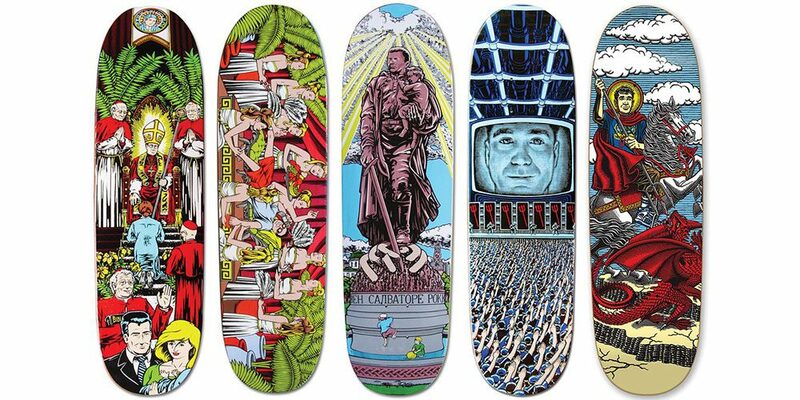 This very cool and creative concept is coming soon from Cliver’s StrangeLove Skateboards. Head over to the Strangelove blog to read the full story. UPDATE 10.24.18: An in-depth interview accompanying the release of a debut pro model is a time-honored tradition in skateboarding. Head over to Strangelove to read Eric Swisher’s new Jed Walter’s piece. 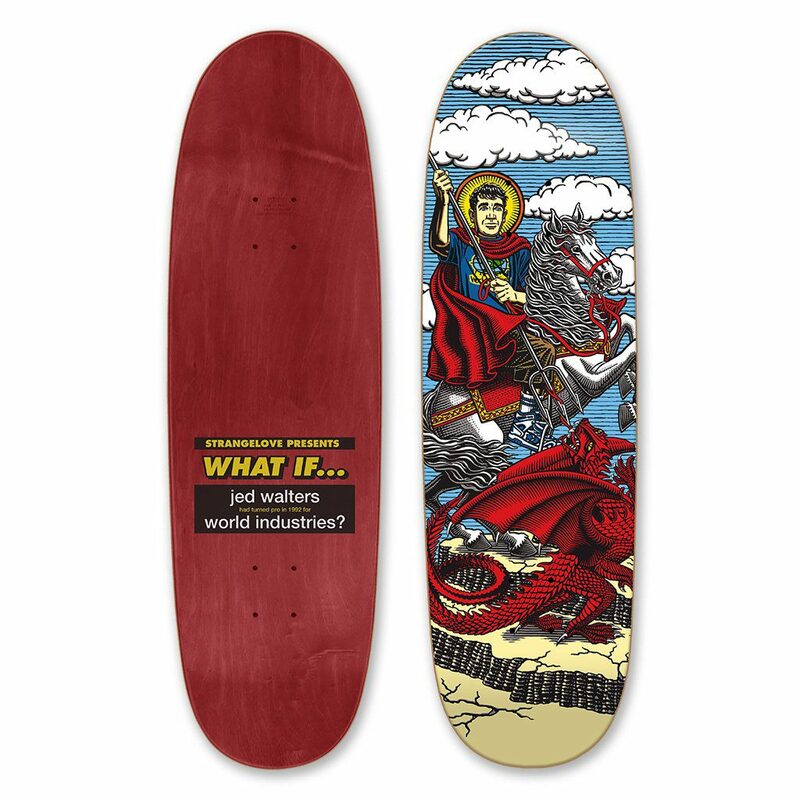 So if you would’ve designed a board back then, what would it have looked like? There’s also a bit of unreleased footage of Jed and Shiloh Greathouse shot by Aaron Meza during the Love Child era accompanying the interview that should not be overlooked. We’ve embedded it below.